Card size 10.5 x 14.7cm. 1 page brown stock card folded into an easel shape. That is fold in half and then fold top half into a half itself. Cover inside bottom of easel card with blue Kaisercraft paper. 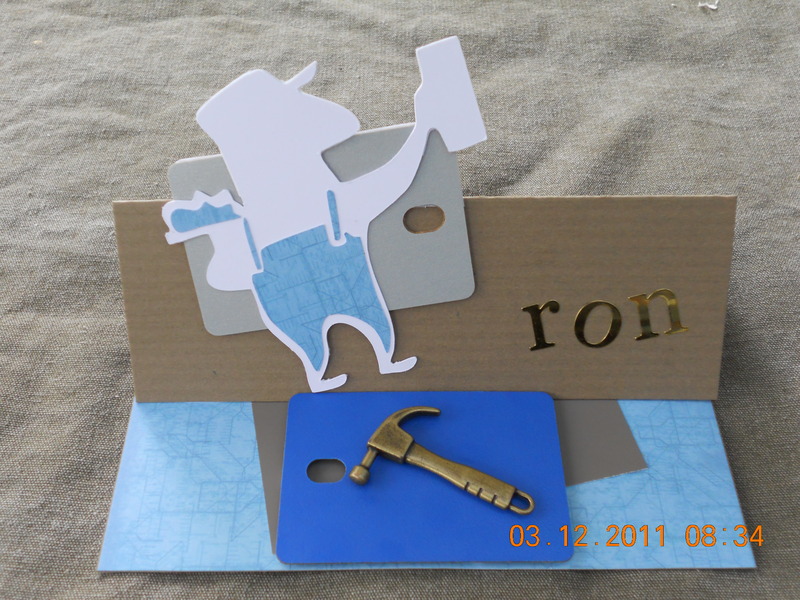 Cut Plasterer man using Cougar machine from white stockcard and blue Kaisercraft paper. Position the blue and brown laminate sample cards as well as the brown colour sample sheet.